THERE’S A NEW CLUBBER ON THE GERMAN CLUB SCENE! Nationwide promotional concept needed a communication platform. The new Samsung Galaxy S6, with its sleek glass and metal casing, needed a communication platform to dazzle with its technical brilliance. Together with Cheil Germany, we developed a nationwide promotional concept that embodied the campaign’s international claim «NEXT IS NOW». Because the future of the S6 promised new innovation and outstanding technical features. In order to share it in the future with a target group that has the fitting lifestyle and musical affinity, Samsung Germany cooperated with popular clubs all over the country. We undertook the acquisition, selection and preparation of the clubs. In the process, we were able to make use of experiences made in previous cooperations, building on and consolidating them to the advantage of the planned campaign. 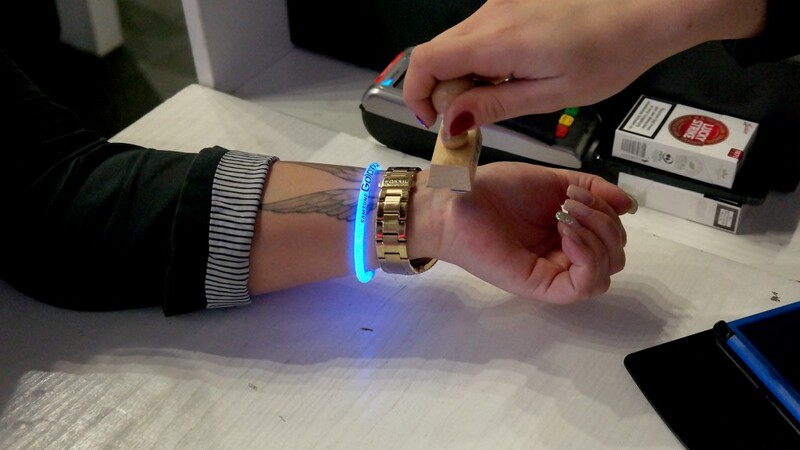 In order to share it in the future with a target group that has the fitting lifestyle and musical affinity, Samsung Germany cooperated with popular clubs all over the country. We undertook the acquisition, selection and preparation of the clubs. In the process, we were able to make use of experiences made in previous cooperations, building on and consolidating them to the advantage of the planned campaign. 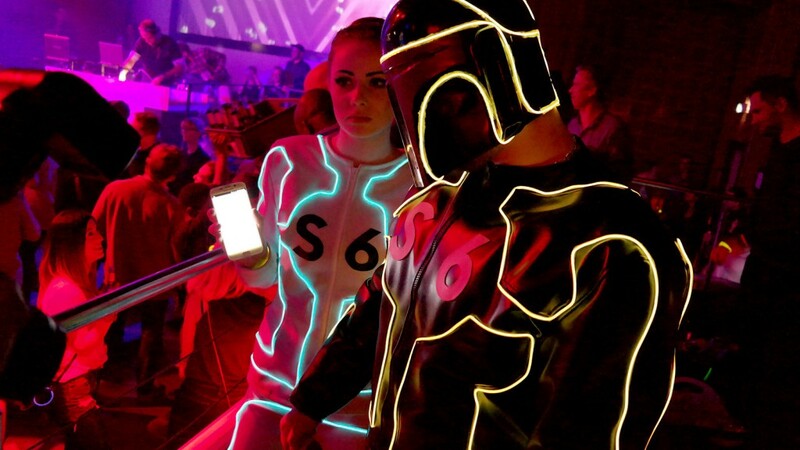 Having arrived in the future, we deployed two promoters to each club, fitting them with customized outfits accentuated with bright glowing stripes. Amidst the throng of guests, the promotion teams provided the perfect photo opportunity. The guests were also able to try out the functions and the new design of the smartphones. The result were strange and funny photos shot at trendy nightlife locations all over Germany. Using an app developed exclusively by Cheil Germany, the photos were uploaded right at the club and entered in a contest for best photo. At the end of the promotion tour, the winner participant received a new smartphone. 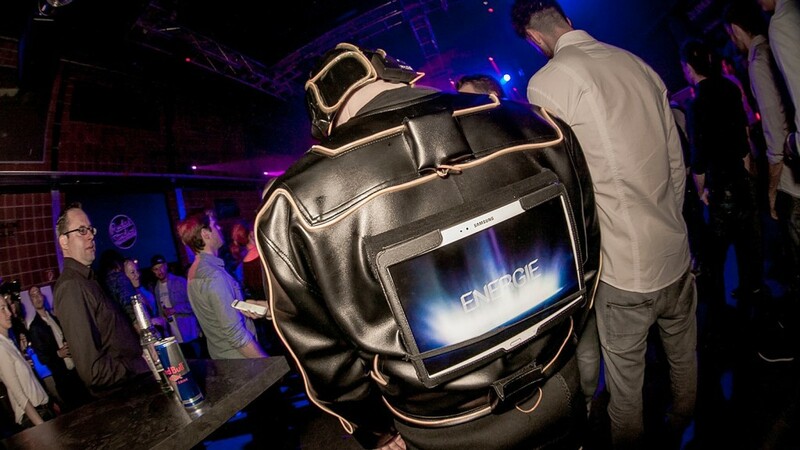 Extensive event branding in the clubs, in Samsung-typical corporate design, ensured the optimal presentation of product and brand. 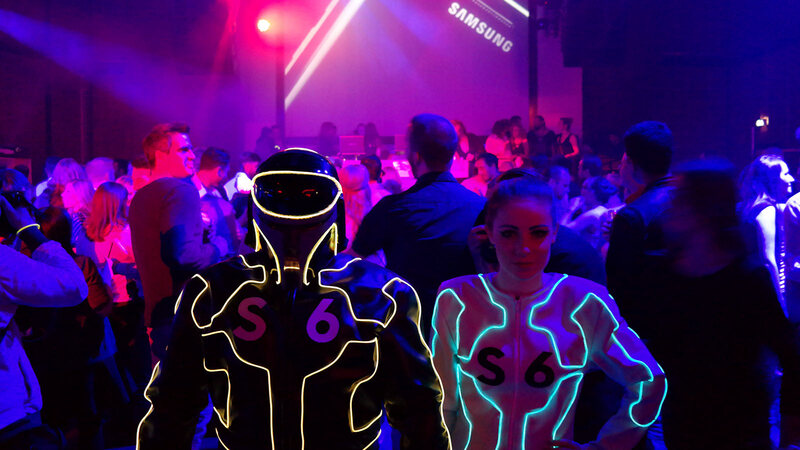 The promotion was well received by club owners and guests alike, and we are sure that the new Samsung Galaxy S6 and Galaxy S6 Edge is still dancing its way through the clubs.